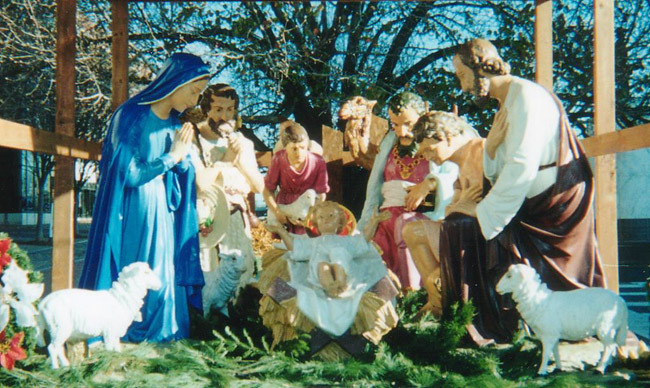 The Christmas Crèche Committee invites everyone to join in the 17th annual blessing of the Nativity scene Wednesday, Dec. 18 at 3 p.m. in Love Park across from Philadelphia City Hall. Father James T. McGuinn, pastor of St. Agatha-St. James Church in University City, Philadelphia, will preside at the blessing. The singing of Christmas carols will be led by students of St. Francis Xavier School in Fairmount. The event is sponsored by the Ancient Order of Hibernians and the Knights of Columbus.